Chiriqui, Panama–Finca Deborah is proud to announce the launch of their new website. Specializing in the rare and unique coffee varietal known as Geisha, Finca Deborah’s labor of love has spanned more than 7 years. 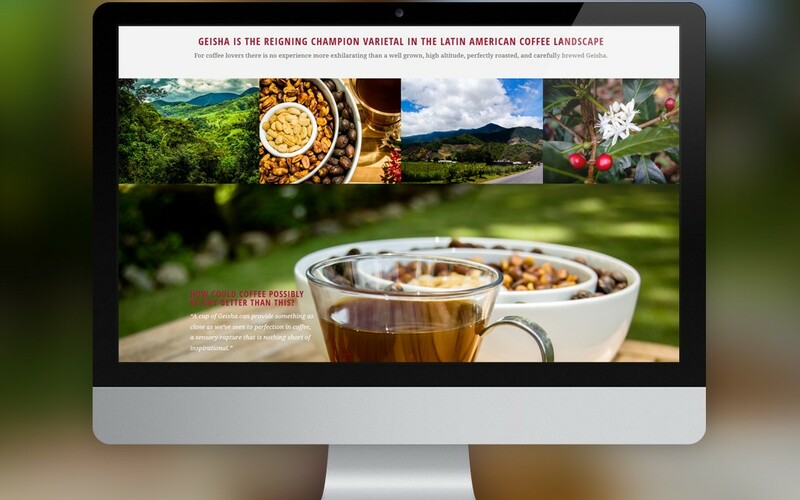 By working closely with a local web and graphic designer, the site gives visitors a glimpse into the hard work and dedication required to produce one of the world’s most finicky and temperamental varieties of coffee; Geisha. Members of the coffee community now have an ability to view stunning, high definition photos, which will allow them a glimpse into the day-to-day life of Finca Deborah. Important details regarding the history and development of Geisha in Panama, Finca Deborah’s commitment to sustainability, stewardship of the local environment, and their cooperative efforts with their local staff are also available for readers to view. As the February 2015 harvest season is looming, Finca Deborah is incredibly pleased with the way the Geisha trees are performing and how every individual involved is fully committed to the farm’s success. America and European roasters will soon get their first taste of Finca Deborah, Geisha. Those who follow news of the international coffee market can expect to hear wonderful cupping reviews as more and more people have the chance to experience this extreme elevation, shade-grown, estate Geisha. For more information or to request a green tasting set please visit the Finca Deborah website and fill out the contact form.